Un-disciplining practices: some paradoxes and possibilities. This text is from a presentation given to students on the Arts and Humanities Masters programme at Duncan of Jordanstone School of Art and Design, University of Dundee on 20/11/2018. Since I’m going to offer you a provocation about un-disciplining art practices, I need to start by clarifying what I mean by this. My concern is with un-disciplining the framing of creative practices, freeing them from disciplinary authority so as to open up other, more relational conversations between creative practices and the world. I’ll begin with the general crisis in disciplinary thinking, move on to more specific disciplinary issues relating to creative practices, and then share some examples of undisciplined practices. Why does the university system assume that, although I know nothing about you or your work, I will have something useful to say to you? That assumption rests on our being categorised by discipline – and on the belief that disciplinarity is the best basis for transmitting knowledge. But to say that Andrea Fraser and Jeff Koons share a discipline actually tells us nothing of real value. So, might there be another reason why we’re all here together in this room? Jane Bennett, reflecting on Deleuze and Guattari’s notion of ‘becoming-animal’, observes that this childhood game: “suggests that children have a sense of themselves as emerging out of a field of protean forces and materials, only some of which are tapped into by a child’s current, human, form”. This sense of protean possibility – linked to empathetic imagination – usually fades as children internalizesocial norms. However Bennett’s claim might be extended to those adults who have a real desire to stay in touch with protean forces and materials, including those who feel a need to make art. Increasingly, the assumptions that underwrite disciplinarity are being questioned. Isabelle Stengers is a Belgian professor of philosophy. She trained as a chemist and has won international acclaim for her work in the philosophy of science. Starhawk is an American writer, teacher, activist and leading exponent offeminist neopaganism and ecofeminism – or, as she might say, a witch. From the perspective of disciplinarity, these two women are separated by an unbridgeable divide. Yet in Capitalist Sorcery: Breaking the Spell, Stengers and her co-author present Starhawk as somebody reclaiming an art of participation that deals directly with pragmatic concerns about effects and consequences. That’s to say, they identify her as somebody able to tap into, and work with, Bennett’s sense of protean forces. Somebody involved in: ”the dangerous art of animating in order to be animated”; in transforming our capacity to affect and be affected. That capacity is, of course, what many people claim for art, so it’s no surprise that Stengers sees Starhawk as having what Felix Guattari would call an ‘ethico-aesthetic practice’. The disciplinary system is in crisis because it can’t engage with the Earth as a complex adaptive whole – a nested system of ecologies, all dynamically interacting and continuously forming new structures and patterns of relationships that aren’t easily isolated or predicted. Un-disciplining art practices is a response to this failure. It involves rethinking the relationship between imaginative activity and the disciplinary discourse that positions art in terms of possessive individualism. A discourse that, to maintain its own exclusivity, needs to isolate art from the kinds of fluid, shared, more-than-human, energies sensed inthe game of ‘becoming-animal’. So, maybe we’re not in this room just because of disciplinarity. Stengers and Starhawk both want to counter the deadening effects that disciplinarity enacts through its overwhelming compulsion to separate, categorize and judge. They want us to remember that we are always both more and less than the categories that name and divide us.The disciplinary compulsion to separate, categorise and judge divides the world into ever-smaller fragments that are supposed to increase our knowledge. But, because we live in a multi-layered, dynamically interacting, and continuously forming multiverse, it actually does the opposite. What we now desperately need are relational understandings– ways of thinking that acknowledge that all phenomena are ultimately inter-related and inter-dependent. However, for the moment the disciplinary mentality is still dominant. It judges all forms of knowledge and value claims according to its own hierarchical criteria. That’s why, when artists get doctorates, they’re made Doctors of Philosophy, not Doctors of Art. In the disciplinary system, philosophy is the ‘queen of the sciences’, while art isn’t considered capable of producing proper knowledge at all. We can’t step just away from the disciplinary system, but we can be agnostic towards its claims, neither accepting or dismissing them. We can acknowledge the values of disciplinary education in relation to practical skills and insights, while questioning how these are framed and used by institutions. It’s unwise to reject disciplinarity outright. Firstly, because that tends to encourage political and religious fundamentalisms. Secondly, because the dualistic thinking that reduces everything to an either/or choice belongs to the same binary thinking that’s embedded in disciplinarity itself. So we need to work in another space. One which the feminist thinker Geraldine Finn describes as: “the space between experience and expression, reality and representation, existence and essence: the concrete, fertile, pre-thematic and anarchic space where we actually live”. As students on an Arts and Humanities Masters programme, you’re no doubt already navigating that space-between. So, I’m now going to touch on some of its paradoxes and possibilities. In Anthropology and/as Education, Tim Ingold argues that there’s more to education than teaching and learning, and more to anthropology than making studies of other people’s lives. Instead, he sees both activities as ways of leading a life of study with others; that is, of attending to the world so as to open up paths of growth and discovery. I read this to be a variation on Isabelle Stengers’: “dangerous art of animating in order to be animated”. (I’ll come back to the danger involved later). Ingold goes on to argue for an education that’s direct, practical, an observational engagement, rather than the top-down transmission of knowledge by disciplinary experts. That’s fine in principle, but the core issue for artists is that disciplinary art discourse doesn’t just determine what is recognised as art. More fundamentally, it also assumes that imagination and creativity is exclusive to, and owned by, specialist groups or individuals – an assumption enshrined in copyright and patent law. This same assumption is part of the underpinning of the Western culture of possessive individualism – a culture and society that places the sovereign individual before the community. And its particular notions of personhood, nature and society have proved toxic. It’s vital, then, that we now acknowledge alternative understandings. For example, back in 1989 the psychologist Edward Sampson pointed out that: “there are no subjects who can be apart from the world; persons are constituted in and through their attachments, connections and relationships”. More recently, the physicist-philosopher Karen Barad has again reminded us that our existence is not an individual affair, since neither individuals nor ideas pre-exist their interactions. These understandings contradict the most fundamental presuppositions of both disciplinarity and possessive individualism. So, if personhood, ideas and imagination emerge through our entangled intra-relatedness, we need to think in terms of how people, practices, ideas and materials interact as mutually co-constituting entities. I going to suggest the notion of “ensemble practices” as providing one way for artists to start thinking about this. The term ensemble is usually applied to groups of musicians whose music-making depends on the relationship between individual skill and collective interaction. But each musician is themselves also an ensemble, a being who must attend to and coordinate what is remembered or read as sheet music, sensed, and physically played. That coordination requires attention– a combination of sympathetic curiosity, sensitivity, and openness. Attention is central to all creative work – whether we’re performing music, having a conversation, or making a banner – and we learn it through practical interactions in all sorts of ways and contexts, as Ingold suggests. The agnosticism towards disciplinary discourse I’m proposing allows us to maintain a necessary creative tension. Between this vital attention and the ways in which the results of art practices are conceptualised by specialist discourse. This brings me to a fundamental paradox. It’s disciplinary art discourse that’s brought you to this MA. But in the process that same discourse has gradually reframed your imaginative and affective relationships with the world. Disciplinary education requires both that you learn skills and that you internalise values via a specialist discursive language. Through the process hinted at in this slide, a relational animation– in this example evoked by a sand-painting ritual – is subjected to rationalisation and re-conceptualised as ‘making art’. In this way our initial desire for emersion in protean forces and materials is formalised into a highly specific disciplinary practice that, in Western culture, is subject to the specialist analysis and judgement that isolate art as a specific, discrete discipline. The process of art education is, then, double-edged. It allows us to develop and maintain a creative practice, but it’s also a process of indoctrination into disciplinary values. If we simply internalize those disciplinary values, rather than remaining agnostic towards them, we risk conforming to a reductive orthodoxy. We risk that orthodoxy starting to dictate both what we feel able to make and what we feel able to say about what we make. When that happens, our sense of ourselves as open beings – as always being both more and less than the categories that name and define us – is repressed or lost. We then subject ourselves to the requirements of the disciplinary category “art” rather than engage creatively with the multiple relationalities of our worlds. This process of enculturation eventually results in art that simply illustrates some current aspect of art discourse. A report published in 2015 – Humanities for the Environment: A Manifesto for Research and Action– can help clarify what’s needed. The report makes it very clear that the understandings our society now needs involve employing multiple, even contradictory,perspectives, something that’s alien to the logic of disciplinary thinking. Additionally, it stresses that we need to move beyond models that assume that knowledge is produced exclusively within the academy. It argues that we must find alternative understandings that exceed disciplinarily thinking. The academy’s reply to this type of criticism has been to promote the notion of trans- disciplinarity. But the term “trans-disciplinarity” still assumes that the discipline is foundational. And at the level of institutionally-managed practices – of what actually happens on the ground – that’s exactly the problem. Trans-disciplinary projects still remain subject to the authority of a discipline-based system of funding, evaluation, governance and dissemination. So they are all-too-often a face-saving exercise for disciplinarity as the final arbiter of “real knowledge”. This prevents us from hearing what other forms of knowledge – in the case of the knowledge embodied in this dance, one that reaches back to before the last Ice Age – might say to us. In a chapter called Rethinking the Conversation in Re-mapping Archaeology: Critical Perspectives, Alternative Mappings, Erin Kavanagh provides a helpful insight into the underlying problems of trans-disciplinarity. She sees it as a tricky exchange that’s usually heavily distorted by different discourses and the unequal status of the participants. As a poet, artist and mytho-archaeologist working on the margins of academia, she writes from experience . She knows, for example, that the potential of trans- disciplinary work is restricted by the fear most specialists experience when faced with an unfamiliar disciplinary discourse. A fear that comes from disciplines and professions treating their fields of expertise as exclusive domains – each with its own distinct culture, linguistic habits, and traditions – all to be jealouslydefended against outsiders. A fear that’s considerably reduced if we are agnostic to the territorial claims of all disciplines, including our own. Erin points out that, if we want to be taken seriously by members of another discipline, we have to learn to speak their language well enough to understand how they think. For genuine conversations across disciplines to take place, both parties must not only become conceptually bi- or multi- lingual, they must be sympathetically curious about, and sensitive to, the other disciplines’ concerns. This is why genuine trans-disciplinary exchange is rare. But it’s also why genuine conversationscan un-discipline our practices. The curator and art writer Monica Szewczyk argues that entering into a conversation, properly understood, makes the creation of worlds possible. When we take part in a genuine conversation we enter a space-between different worlds. But – and this is the crux of the matter – in doing that we also run a certain risk or, in Isabelle Stengers’ terms, face a certain danger. We risk our own subjective world being destabilised, perhaps even redefined, by fully engaging with someone else’s world.The danger is that we will be transformed. That’s to say, we risk becoming both more and less than whatever disciplinary category we identify with – for example, the category ‘artist’. However, as I’ve said, these transformative conversations are fairly rare. What does what all this mean in practice? It means that it’s not possible to discuss Ffion Jones’ imaginative work productively as something distinct from, say, her living and working in a Welsh-language speaking hill farming community, as well as working as a performance artist, academic and researcher.Her work, like her life, is a complex conversation between different, sometimes antagonistic, worlds. To navigate those worlds requires sympathy, commitment, curiosity, and an underlying attention that’s oriented by trust rather than competition. And these conditions are rare in contemporary professional life – certainly in universities and the art world – where most professional exchanges are instrumental, strategic, or competitive. People do, of course, learn to be conceptually bi- or multi- lingual, to make productive border crossings between disciplinary territories. But such crossings are demanding and generate a certain level of discomfort – of cognitive dissonance, paradox, and ambiguity. Most people prefer to embed themselves in a familiar disciplinary world, a profession, or a given identity. Some however choose, or come to accept, to become outliers, to work out on the edge of different disciplinary territories or professions and to regularly cross their borders. As a result, they develop undisciplined practices. I’m now going to suggest why doing this is important. In Artificial Hells: participatory art and the politics of spectatorship, Claire Bishop writes about what she calls ‘pedagogic art projects’. In the process she reveals the tension between Joseph Beuys’ undisciplined practice and her own disciplinary critique. During the 1970s, Beuys’ work became increasingly conversational, a relational exchange with others art, education, politics and environmental activism. However, Bishop chooses to frame this work as a prompt to: “examine our assumptions about both fields of operation – art and education – and to ponder the productive overlaps and incompatibilities that might arise from their experimental conjunction, with the consequence of perpetually reinventing both”. This re-framing is highly reductive. It reduces Beuys’ work to providing the critic with an opportunity for analyse of the categories of ‘art’, and ‘education’ and their relationship. Bishop thus treats Beuys’ work not as an open act of social engagement, but as simply another opportunity to exercise her own disciplinary skills. This disciplinary reductivism is indicative of a fundamental problem for creative practitioners. Earlier this year Darby English, writing in the catalogue for the exhibition Outliers and American Vanguard Art, highlighted one of the basic presuppositionsof critical art discourse. He writes: “The often brutal character of modernist criticism is shown in its insistence on the primacy of external judges, which is another way to describe its tendency not to think of makers as the primary seers and knowers of their work. Vanguard criticism displaces the maker’s vision and knowledge in favour of its own rigorously cultivated awareness of how Art operates…”. Such acts of displacement remain the stock-in-trade of critical art discourse. Critical discourse frames the work of Eamon Colman through genre – as landscape painting – and through technique – as the product of a colourist who grinds his own pigments. Categorised as ‘landscape paintings’, these works are assumed to lack ‘engagement’, as current art criticism understands that term. However, Colman does not describe himself as a landscape painter but as someone whose work responds to “listening to other people’s stories and interpreting their dreams”.Hewalks. He thenreconstructs what he encounters from memory, before adding carefully-considered, evocative titles. He has also said that his work responses to the earth as: “a living being like you or I … an organism that breaths and communicates”. I suggest it would be more relevant and productive to explore his work in these terms than reduce it to normative categories like ‘landscape painting’ and ‘colourist’. But because current critical discourse presupposes that landscape painting is incapable of ‘engagement’, it neutralises Colman’s work in terms of larger cultural conversations. If you want to find thinking open to the contribution Colman’s art might make to such conversations, you need to turn to the writing of a sociologist, Ben Pitcher, rather than to disciplinary art discourse. The disciplinary process of displacement I’ve indicated makes it hard for artists to present their work as constituted in and through their own particular attachments, connections and relationships. As a result, they’re increasingly creating their own framing narratives. Raaswater belongs to a narrative set in motion by the South African painter, researcher and performer Hanien Conradie.The work shares its name with a now-abandoned farm that, in the 1940s and 1950s, grew grapes for export. Her mother grew up there. The farm was named after the raging waters of the Hartebees River, which ran through the property. As a child, Hanien loved her mother’s stories about Raaswater which, growing up as a child of suburbia, sounded like an earthy paradise. As an adult she took her mother to visit the farm, which her grandparents had been forced to sell, and which Hanien herself had never seen. When they got there, the river was silent and all the indigenous vegetation had gone. European farming methods have so radically destabilized the water ecology that the river is now dry for much of the year. Shocked by this situation, Hanien salvaged some of the clay that had featured in her mother’s stories of playing by the river as a child. She took it into her studio and created a simple ritual that allowed the river’s water to re-sound, to run wild again. From that she gradually evoked a new story about Raaswater. The river became a space made up of what the geographer Doreen Massey refers to as “a simultaneity-of-stories-so-far”. Hanien’s story is about land ownership, loss of indigenous habitat, and the importance of mourning at the intersection of personal history and environmental irresponsibility. That story, along with the paintings and other works it accompanies, is part of Hanien’s MFA project, Spore. It evidences the way her conversation with an ancestral place transformed her art practice into an ensemble practice. One in which a range of arts skills interact with material from botany, ecology, law, psychology and philosophy,generating a complex, open-ended, multi-dimensional relationship of materials and narrative that is more than the sum of its parts. A telling relationship that’s irreducible to any one category or discipline. There’s an important convergence between Doreen Massey’s understanding of space as a simultaneity of ‘stories-so-far’”, and notions of a relational self as an ongoing conversation. Gulammohammed Sheikh evokes this convergence in his major project: Kaavad: Travelling Shrine: Home. Sheikh is from a Muslim family in Gujarat, a state subject to extreme anti-Muslim violence over many years. He has long been committed to staging visual conversations between different, sometimes contradictory, stories-so-far across both space and time. This draws in part on his childhood in pre-Partition India, when the belief systems of different religious groups interacted peacefully within a heterogeneous popular culture. Consequently, much of his work can be said to counter attempts by an increasingly virulent Hindu nationalism to suppress cultural exchange in contemporary India. In Kaavad Sheikh provides a new, expanded context for the richness of the popular heterogeneous culture of his childhood. A kaavad is a portable, folding, wooden shrine used by nomadic storytellers to reveal images of different gods, goddesses, saints, local heroes, and patrons as their narrative unfolds. For Sheikh, however, it serves as a secular device, as: ‘…a site for atonement for innocent victims of the senseless violence of our times… a motif of remembrance, of memory”. Through it he enfolds figures from radically different backgrounds and spiritual traditions – his mother, medieval Hindu and Sufi saints, an anonymous sweeper, the Chinese Buddhist scholar Shoriken, St. Francis, Gandhi, and the prophet Mohammed – all within a complex, multifaceted, conversational space. Sheikh imagines conversations between stories-so-far as a non-believer, but one deeply concerned about the failure of liberal, humanist cultural education in a fractious post-secular world. The results are complex relocations of old narrative themes within a new, cosmopolitan, multiverse, with the work’s many enfolding panels evoking a ‘safe space’ for debate. Sheikh spent many years helping to create, and then defend, a secular educational space for Indian art students. However, in 1992 he was expelled from his academic post due to political pressure. I see Sheikh as having an ensemble practice that draws on, and works out of, a variety of distinct skills and understandings –those associated withhis roles as painter, poet, secular participant in Muslim culture, educator, activist, editor and cultural observer. Activities that then feed into his polyvocal conversation about heterogeneity and tolerance. In 2007 Deirdre O’Mahony initiated the X-PO project. Her aim was to convert the decommissioned Kilnaboy post office in County Clareinto a centre for artistic and community activity in that small rural community in the west of Ireland. Local people embraced the project through its first exhibition: a tribute to the last postmaster, Mattie Rynne. This was followed by exhibitions, talks and presentations dealing with changes in the environment, in farm life, and in rural social circumstances – all mirroring events and concerns across the west of Ireland. Local interest groups later took ownership of X-PO through local history and mapping projects, using digital resources to create a community archive, and through using it as a meeting place. However, it continues to feed into O’Mahony’s SPUD project. 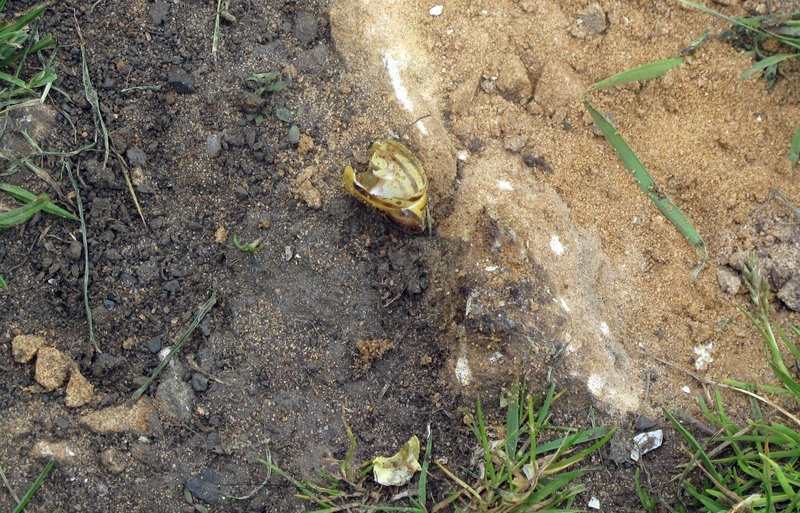 SPUD draws on education, activism, research, art practice and agronomy. It stages a conversation between elements of traditional local agricultural knowledge, self-sufficiency practices, and the relationships between agriculture and identity, by re-imagining Land Art as ‘Useful-Art’. It has involved collaborations withthe community of Kilnaboy,a South American research institute focused on developing disease resistant potatoes, and the Loy Association – a nationwide Irish group dedicated to preserving viable traditional farming practices. Originally concerned to present a more nuanced understand of the potato’s role in Irish culture, SPUD developed into a public conversation about sustainability, food security, and vernacular cultivation knowledge. Its potato lazy-beds – at the bottom of this slide – are here displayed outside the Irish Museum of Modern Art. SPUD requires O’Mahony and her co-workers to identify, acknowledge, and work with the possibilities and limitations of different discourses and understandings. It employs multiple, sometimes contradictory, perspectives to find ways of working productively both with and across differences. Concluding her chapter in the recent book Rurality Re-imagined, O’Mahony identifies SPUD as a micro-political process, one: “necessary to remind us that the skills of both head and hand are needed if we are to actively respond to the challenges facing humanity today”. Luci Gorell Barnes’ ensemble practice highlights other aspects of un-disciplined practice. Her Cartographers of Compassion: community mapping of human kindness might be taken as a typical example of socially-engaged art practice. But to take it in isolation is to miss the complexity and richness of her practice. This draws onskills, interests and an ethics located at the intersections of education, participatory and personal arts practice, academic research, and community engagement. It’s also particularly involved – often through narrative mapping – with the specifics of the place where she lives. Central to her ensemble practice is a concern with learning and a commitment to people who find themselves on the margins; particularly young children with learning difficulties and migrant and refugee women. The overarching aim of her work is: “to develop flexible and responsive processes that allow us to think imaginatively with each other”. She earns part of her living as a long-term artist-in-residence in a Nursery School and Children’s Centre; work that includes the Companion Planting project on an allotment linked to the school. However, her approach is not simply that of the conventional, discipline-based, local artist. Rather, she is an informed and plural subject playing many different creative roles in many different contexts. In The Power of the Ooze Simon Read – who lives on a barge on the River Deben – suggests that our eco-social problems require: “a particular kind of strategy that our culture has yet to develop and promote”. This requirescontinuous improvisation, without a desire for perfection or a fear of failure. Read works as an artist, teaches at Middlesex University, and serves as an environmental designer, community mediator, and ecological activist. 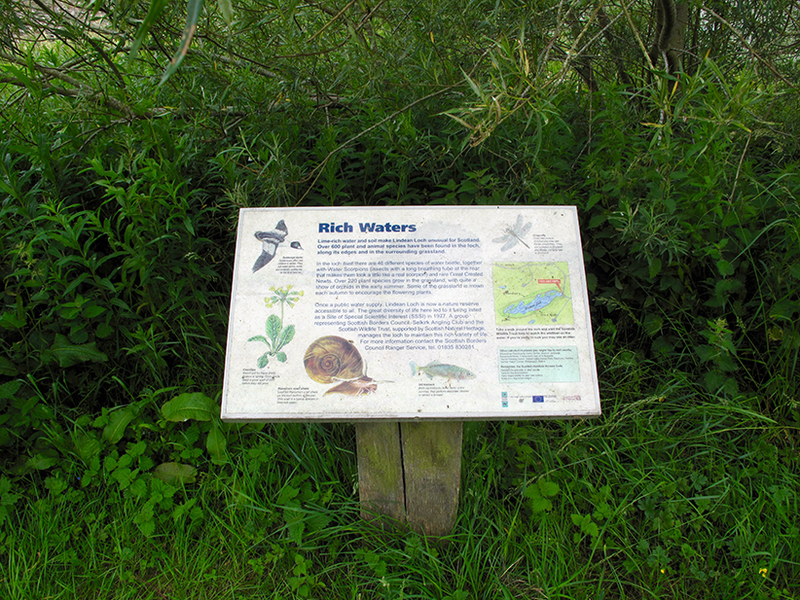 He’s been involved in various projects on and around the River Deben since 1997. His numerous large map drawings are always a response to issues relating to management strategies for fluid and shifting environments. They both delineate specific and recognisable possible future landscapes, and act as tools for active meditation in debates about changing environmental conditions. He retrieves, cross-references, and synthesizes material from many different official sources to equip himself to join the complex environmental planning debates around environmental management. However, his ability to imagine a synthesis of the material he collects is very much a product of his art training. Read’s work on the Falkenham Saltmarsh project – an exploration of the conditions and potential for salt marsh stabilisation – led to him planning and creating barriers designed to prevent its erosion. These manage tidal flow and encourage the controlled deposition of silt. The practical yet sculptural barriers are “soft engineered” from timber, brushwood, straw bales, and coir – a natural fibre extracted from the husk of coconuts. They’re specifically designed to degrade back into the marsh over time. Simon’s response to the challenges of environmental change includes publicly acknowledging our need to find nuanced and complex solutions. Solutions that necessarily acknowledge the cultural implications and dimensions of change involved in re-framing our collective understanding of land, ownership, responsibility, ‘home’, and belonging. Most of the people I’ve referenced would conventionally be categorized as artists and have no quarrel with this. But if you talk to them about what they do, you quickly recognise that their work can’t be usefully categorised through a disciplinary or trans-disciplinary discourse. Each individual is an informed and plural subject who productively adopts different roles in different contexts; subjects who understand that both they and their practices are constituted in and through their multiple attachments, connections and relationships. There’s nothing particularly new in what I’ve been saying. In Australia, the Anthropocene Transitions Project is working to increase understanding both of the Earth as a single socio-ecological system and of the cultural drivers that threaten it. It’s co-ordinator, Kenneth McLeod, insists that we can only meet that threat if: “we climb out of our disciplinary and professional silos, take off our institutional blinkers, and start exploring genuinely transformative change; … ask ourselves how can we step into the “space between” disciplines and cultures where new thinking and ways of knowing and acting in the world are possible; where new ways of understanding and valuing the Earth can emerge”. For those who experience creative involvements as something more than a disciplined category of work, meeting McLeod’s challenge requires a conscious un-disciplining – perhaps the cultivation of an ensemble practice along the lines I’ve indicated. Karen Barad Meeting the Universe Halfway: Quantum Physics and the Entanglement of Matter and Meaning. Jane Bennett The Enchantment of Modern Life: attachments, crossings and ethics. Claire Bishop Artificial Hells: participatory art and the politics of spectatorship. Darby English ‘Modernism’s War on Terror’ in Lynne Cooke (ed.) Outliers and American Vanguard Art. Geraldine Finn Why Althusser Killed His Wife: Essays on Discourse and Violence. Tim Ingold Anthropology and/as Education. Erin Kavanagh‘Rethinking the Conversation’ in Re-mapping Archaeology: Critical Perspectives, Alternative Mappings. Humanities for the Environment: A Manifesto for Research and Action. Philippe Pignarre and Isabelle Stengers Capitalist Sorcery: Breaking the Spell. Monica Szewczyk ‘Art of Conversation, Part 1’ e-flux journal no 3. This entry was posted in Provocations on November 21, 2018 by Iain. 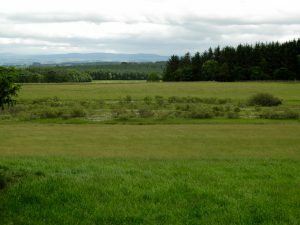 Around mid-summer I spent some time visiting various mosses and other wetlands in the English / Scottish Borders. 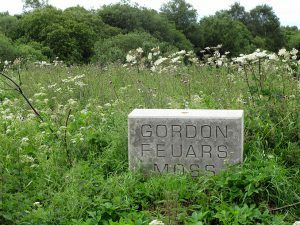 These included Ford Moss, a lowland raised mire to the south-west of Berwick-upon-Tweed; the three Whitlaw Mosses just east of Selkirk; and the Gordon Feuars Moss, a wet wood, just outside the village of Gordon. 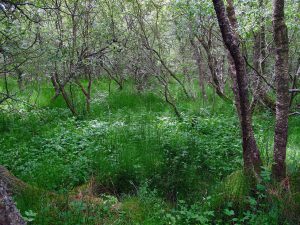 This last is a very particular place, the remnant of a large floodplain mire dominated by a low tangle of birch and willow growing over a variety of fen and bog peatland habitats. 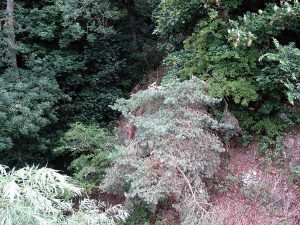 It appeared entirely un-managed and, as such, made me think it might be some of the last “natural” remaining native woodland in Britain. However, on looking at a large-scale map later, I found that there are drains marked as running through two sections of the reserve: Gordon Moss Nature Reserve itself and the neighbouring strip known as Minister’s Bog. 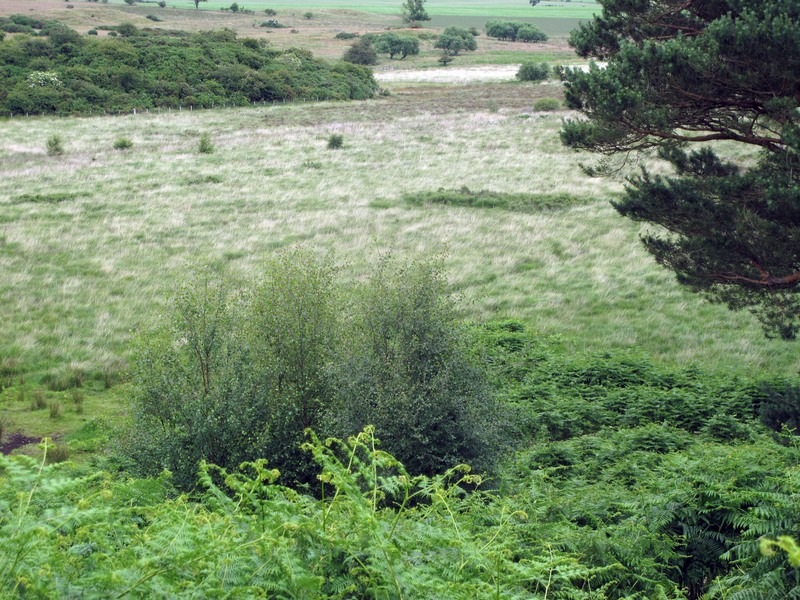 However a third area, Laird’s Bog, appears to be undrained, suggesting that there has been only minimum human intervention in the area in the past. That was certainly my impression ‘on the ground’. What interests me is not, however, whether or not such a place is in some sense “pristine’, but how it fits into the shifting politics of land ‘improvement’ and environmental concern that is now starting to shape the Borders landscape. Marker on the edge of Gordon Fears Moss. 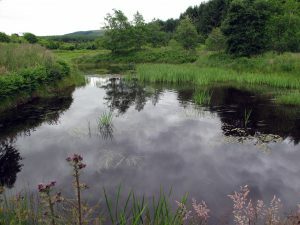 A 2006 report – “A Borders Wetland Vison” – compiled for the Scottish Borders Council – tells me there are eleven distinct types of wetland in the region – blanket bog, lowland raised bog, fens or flushes, reed beds, coastal and floodplain grazing marsh, wet woodland, lowland meadows, upland hay meadows, purple moor-grass (Molinia), rush pasture, and lochs. All of these are environmentally important. (Peatlands, for example, reduce global climate change by acting as carbon sinks that capture and store carbon from the atmosphere. Twenty percent of the world’s terrestrial carbon is captured and stored in peatlands located in the northern hemisphere). I have two related reservations about this report’s neat definitions, however. The first is that surely one of the important qualities of wetlands is psycho-social rather than environmental as that term is usually understood – their quiet ‘wildness’ in Don McKay’s sense of that word. That is, their capacity “to elude the mind’s appropriations” (2001 p.21), even those provided by scientific organisations like environmental research consultancies. My second, related, reservation is that, in practice and perhaps somewhat ironically, it’s precisely human intervention that so often makes a nonsense of any such neat distinctions. 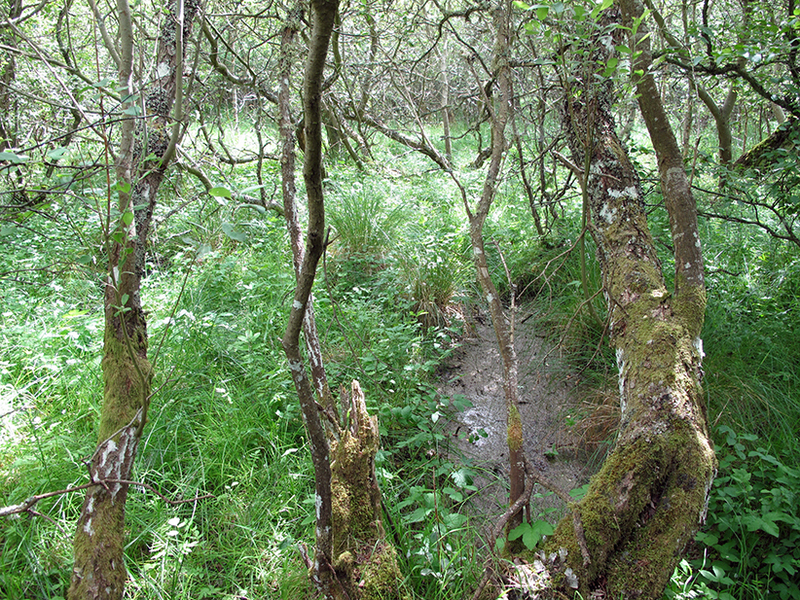 (Wet woodland, precisely because it occurs as small areas of wood or localised patches in larger woods on floodplains, as successional habitat on fens, mires and bogs, along streams and hill-side flushes, and in peaty hollows, many of which border on cultivated agricultural or other land, often combines elements of many other ecosystems). Repairing the old sheep fank on the Carter Burn near the entrance to Burns in the Wauchope Forest area. 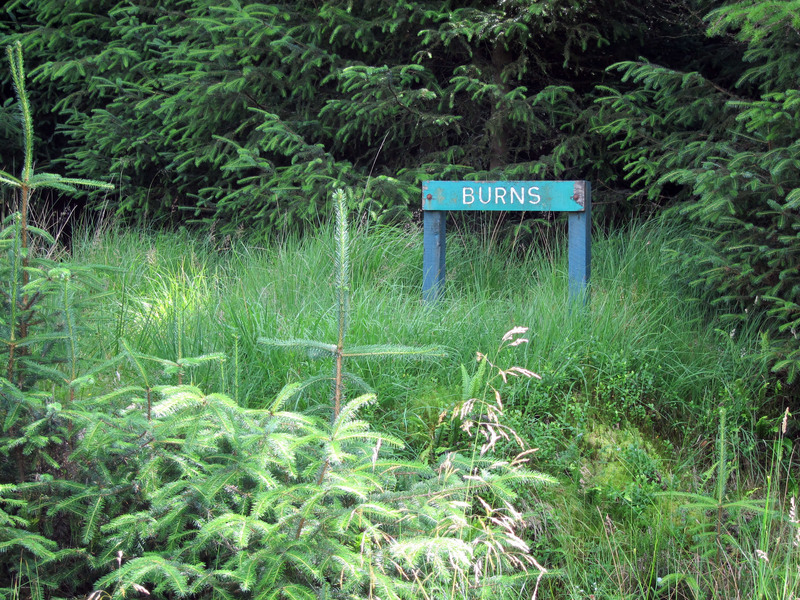 Sign marking the entrance to the Burns. The image of an old sheep fans above is located in what was once an area of upland hay meadow. It may originally have been bounded by wet woodland similar to that at Gordon Fears Moss and subject to regular flooding. The fank, however, is a product of the move towards land enclosure and the introduction of large-scale sheep farming. 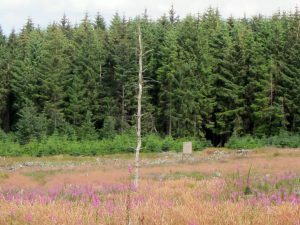 Then, beginning in the 1920s, sheep farming in this area was increasingly replaced by forestry, particularly the monoculture of Sitka spruce that now dominates the Wauchope Forest. 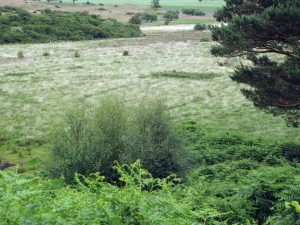 Over the last eighteen years, I’ve watched this remnant of old upland hay meadow being further transformed; overrun by a mixture of bracken, reeds, and the beginnings of what may become a ribbon of deciduous wet woodland. While this process of change will continue one way or another, how it will fit into the wider pattern of future Borders land use is an open question. I took the journeys indicated above because I wanted to get a sense of these wetland places ‘on the ground’ and to collect images. 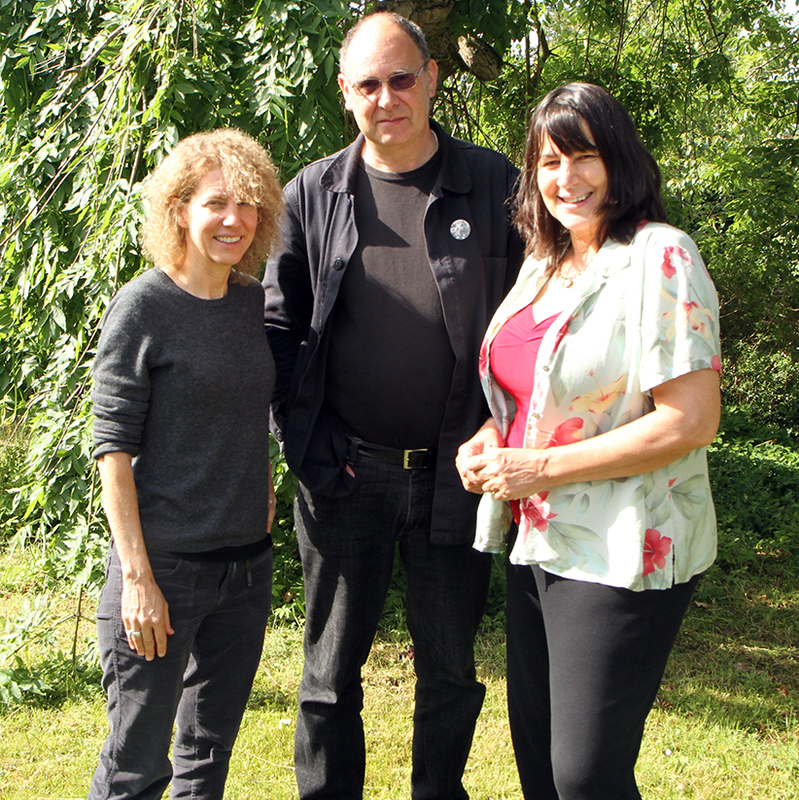 I was working towards a celebration of wetlands with my friends Christine Baeumler (an Associate Professor of Art at the University of Minnesota) and Mary Modeen (an Associate Dean at the Duncan of Jordanstone College of Art and Design at the University of Dundee) for presentation at a conference in September. 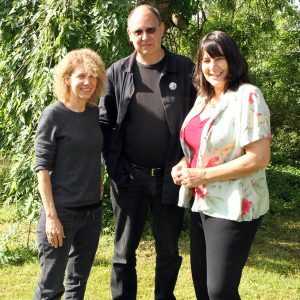 These are my partners in the Midstream Collective, which we set up some years back to ‘badge’ the collaborative work we wanted to do together. As so often happens when I visit new places, the explorations with one end in view have set me thinking about another – land use on the Borders, both past and present – which in turn provoked this essay. 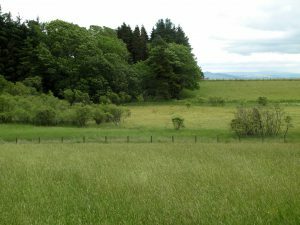 The Ford Moss Nature Reserve, wedged between a mix of farm land and old forestry plantation, is a Site of Special Scientific Interest (SSSI) that sits in the hollow of a hill overlooking the Till Valley and the Cheviots. The Moss extends over about one hundred and fifty acres and is classified as a lowland raised mire. That’s to say its ecology is underpinned by a deep peat layer laid down by the rotting of vegetation over many thousands of years. The moss has become dryer over the last 250 years, but retains echoes of its older landscape form, which is undergoing ‘renovation’. 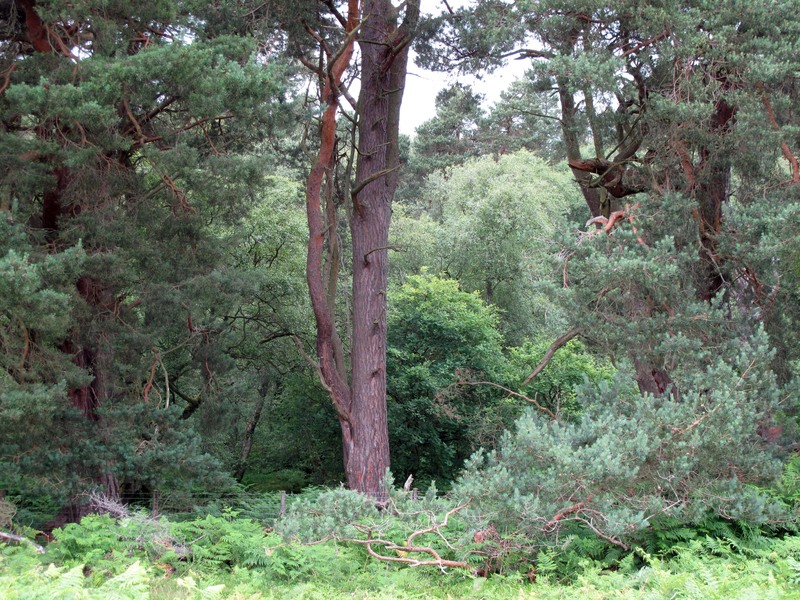 The nature reserve includes old mixed woodland that’s adjacent to the moss and contains both mature Scots Pine and Oak. 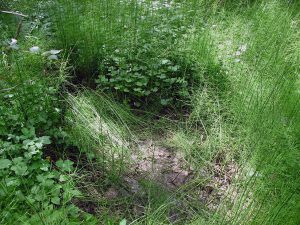 I was unable to walk into the moss itself, which is fenced to keep people away from its “soft and treacherous surface”. Instead, I (largely) followed the circular two-mile path around its edge. 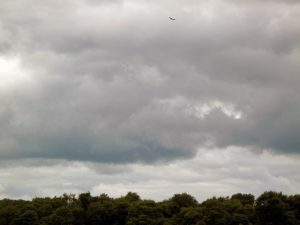 The wildlife, particularly the birds, were present from the start, as indicated by the variety and volume of bird song, most noticeably of thrushes, blackbirds and skylarks. The persistent call of a buzzard hunting high over the moss accompanied me for much of the second half of my walk. 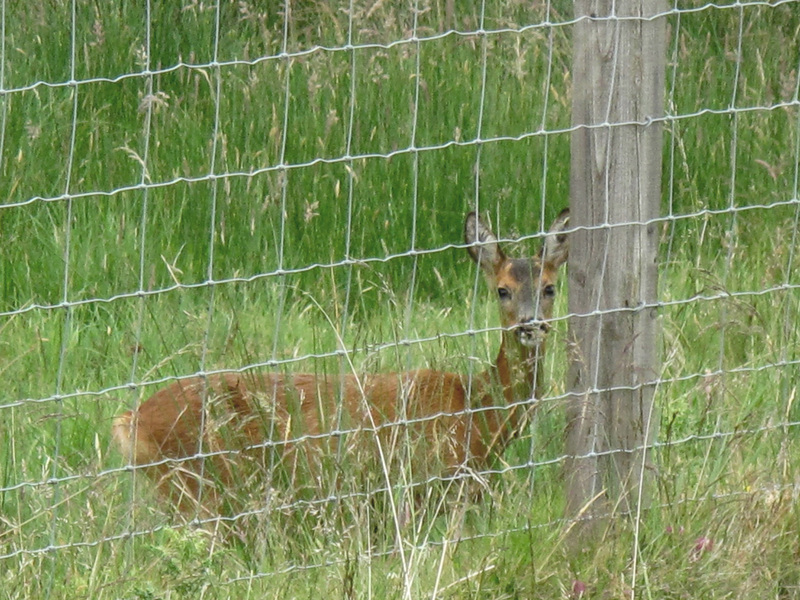 I also had the luck to encounter a Roe doe at close quarters. Broken snail shell – evidence of a thrush’s activity? 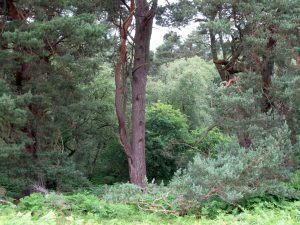 As I started walking around the moss, it struck me that the mature Scots Pine and Oak woodland bordering its southern side and situated on an incline, echoed descriptions of woodland I’ve read and thought about a good deal in the past. 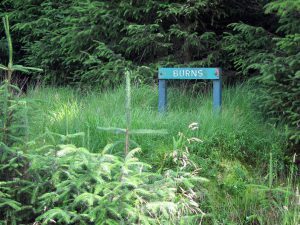 This is the old woodland of the Jed Forest that had once covered an area of land called the Wauchope Forest, now largely taken over by commercial forestry. That area that interests me sits north and west of the Carter Bar pass on the Scottish side of the Cheviot Hills. 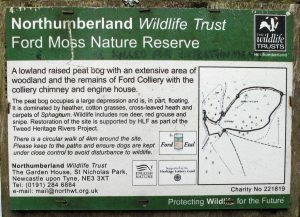 (This is well down the Border to the south-west of Ford Moss in the old Middle March). 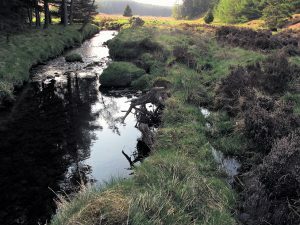 The area I’m particularly attached to consists of three parallel low ridges with the Carter and Black Burn running between them into the Jed Water. What came to my mind was that the woodland at Ford Moss was almost certainly of the same type that persisted, probably with relatively little change, from around the time of the end of the Roman occupation to some point in the late eighteenth or early nineteenth century, when the Lowlands were ‘improved’. (Jennifer Owen, in her magisterial Wildlife of a Garden: A Thirty-Year Study, suggests that by 400 AD. only 30% of England was wooded, although the percentage would have been considerably higher in the Borders). I regularly visit this area between Carter Bar and the former parish of Southdean when I’m in the Borders and have done so for almost twenty years now. The remains of Tamshiel Rig, photographed c. 2002. 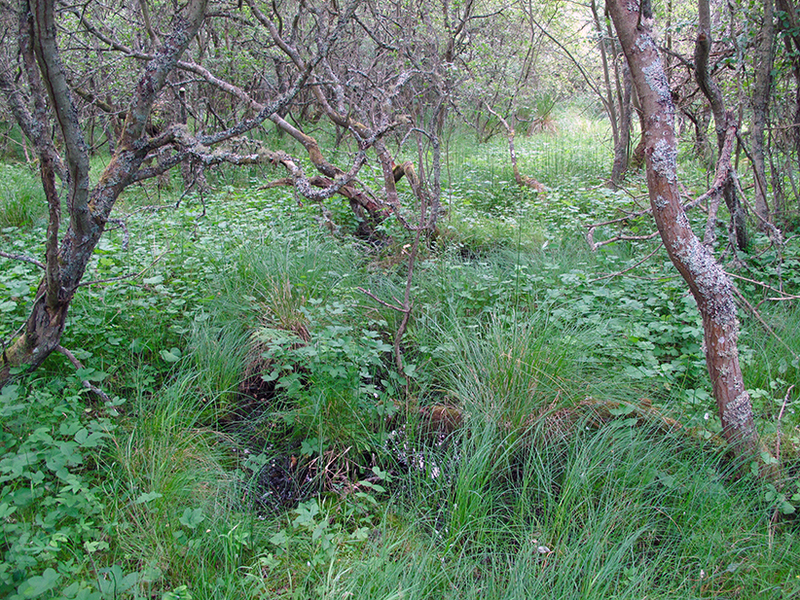 Fifteen years later this site, if it still exists at all, is completely inaccessible due to the density of the Sitka planting. I stopped in Jedburgh on my way from Ford Moss to visit the land around Tamshiel Rig – a medieval shieling built on the site of what was once one of the best-preserved Iron Ages farms in Britain (until it was plowed up for forestry). While I was there I bought a copy of Peter Aitchison and Andrew Cassell’s The Lowland Clearances: Scotland’s Silent Revolution 1760-1830 (Tuckwell Press, 2012). Like so much historical research into social conditions in rural Scotland, it’s a stark reminder of how issues of social justice, ownership, and land use are intimately linked, of the complexity of those links, and of how the language of ‘progress’ has been used to justify the imposition of ‘top-down’ changes that have had long-standing consequences. (The authors reckon that the ‘improvement’ of Lowland agriculture traumatised, displaced, or otherwise disrupted, the lives of almost one third of the population. These were for the most part cotters, the poorest members of Borders society. In this context, it’s important to know that even today more than half of Scotland is still owned by less that 500 people, a situation with enormous socio-environmental consequences. Two views reported in the book are relevant to my visit to the former parish of Southdean, where the population has been steadily declining year on year. The first is that of an establishment orthodoxy that views the enclosures and the improvements of the late eighteenth and early nineteenth centuries as a mark of unqualified progress. For that orthodoxy, the creation of “big new farms in place of common grazing” not only “completely altered the landscape of Scotland”, it ushered in the new, scientific agriculture essential to Scotland entering the modern industrial age (p. 72). The second view is that of the historian Dr James Hunter. Hunter is Emeritus Professor of History at the University of the Highlands and Islands, was the first Director of its Centre for History, and the author of thirteen books about the Highlands and Islands and that region’s diaspora. He was the first director of the Scottish Crofters Union, now the Scottish Crofting Federation and is a former chairman of Highlands and Islands Enterprise. Unsurprisingly then, he contrasts the “empty deserted glens” central to large-scale Lowland sheep farming and “kept going solely by vast, enormous subsidies from Europe”, with “the unimproved parts of Scotland … the crofting counties”, where “you see a much more viable society”. (p. 148) He also suggests that the people who resisted the ‘improvements’, where, from the perspective of our present eco-social situation, those with the better, more sensible, more economically and environmentally viable vision of the Scottish landscape than the “few subsidy junkies” who now dominate “rural Scotland where improvement was given full reign” (ibid). 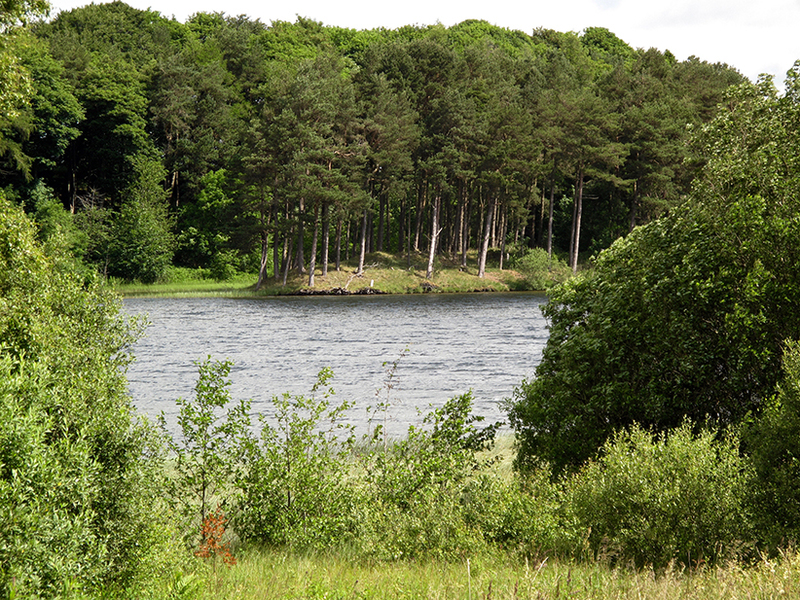 The historical link between the loss of wetlands and ‘improvements’ of various kinds is neatly illustrated by what’s known of Linden reservoir or loch, located just east of Selkirk. Prior to the eighteenth century, this would have been the lowest, and possibly most extensive, of what are now collectively known as the Whitlaw Mosses. (The remaining three are ‘Murder’, ‘Beanrig’ and ‘Blackpool’ Moss). Although the loch looks ‘natural’ enough today, it is in fact the product of two major human interventions. As a standing body of water, it’s largely the result of the extensive extraction of lime rich marl (a form of clay), dug by hand during the eighteenth century. Marl that was then used as fertiliser locally to improve the grass necessary for intensive grazing. Then, in the twentieth century, the loch was dammed to provide a public water supply for nearby villages, a situation that continued into the nineteen seventies. 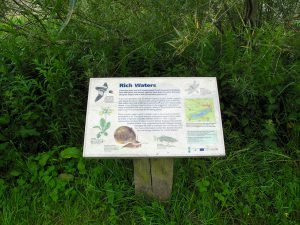 Now notable for its lime-rich water and soil, and for the six hundred and more plant and animal species apparently found in and around it, the loch was designated an SSSI in 1977. 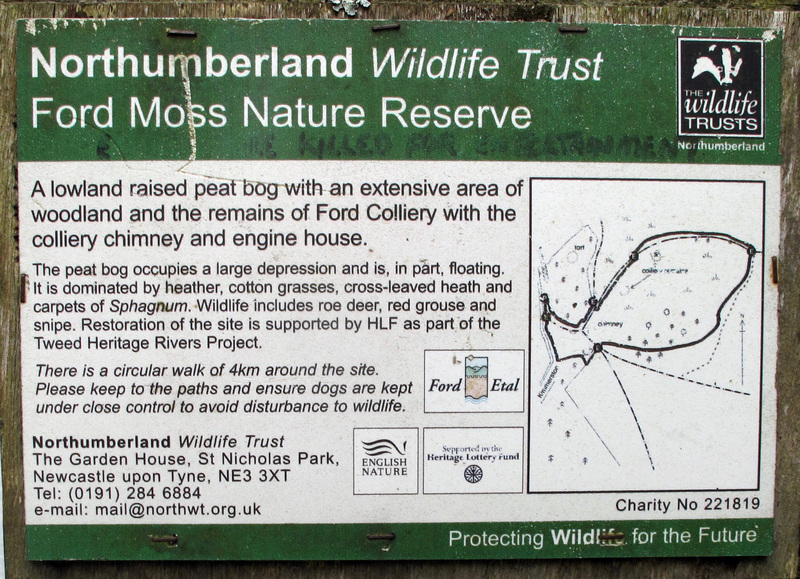 Given my long-standing interest in the area just north west of Carter Bar, someone familiar with the area would probably expect me to visit the Border Mires, the name given to a collection of peat bog sites in, and adjacent to, Kielder Forest in Northumberland, rather than the mosses I in fact visited. 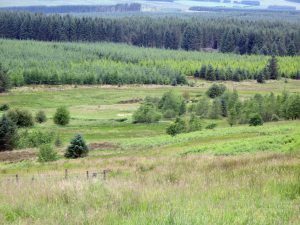 After all this area was, until planting began in the 1920s, predominantly open moorland and mire, with remnants of native upland woodland – some of it wet – along stream sides and in isolated craggy areas. Now it’s the largest man-made forest in Europe, with three-quarters of its six hundred and fifty square kilometres covered by commercial forestry, of which seventy-five percent is Sitka spruce. Like all such forests, it is a depressingly monotonous and oppressive environment that, typically, sustains very little in the way of wildlife and provides little employment. There are, however, fifty-eight separate peat bog sites within the overall forest area. These are in remote locations and largely made up of deep lenses of peat located in larger areas of blanket bog. They can be up to fifteen meters deep in places and are almost all dependent on rainfall to maintain their water-balance. 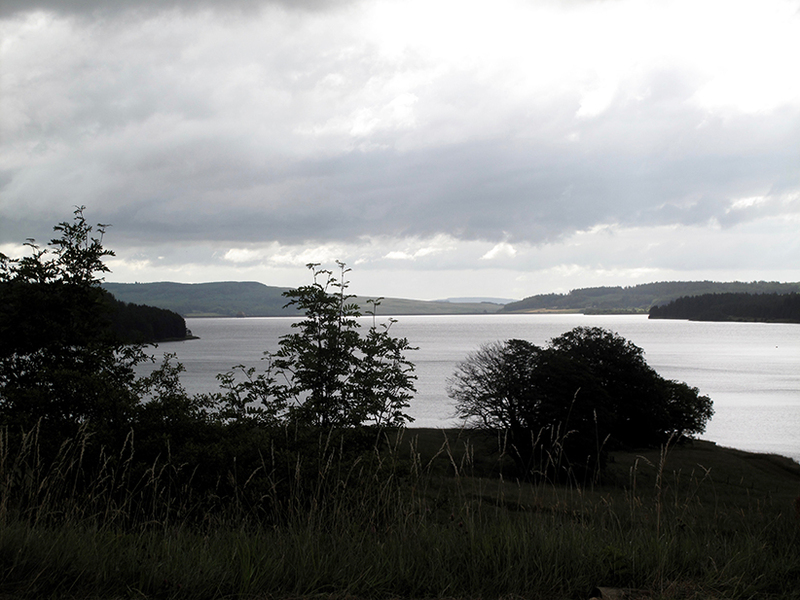 Taken together, they store more water than the Kielder reservoir itself, the largest artificial lake in the United Kingdom, which holds forty-four billion gallons, figure that reminds me forcibly of the importance of peat bog in the retention and general management of water, particularly in relation to flooding. 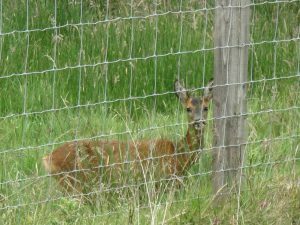 My problem with trying to visit the Border Mires sites is that, not only are they almost all in very remote areas, but they are also designated SSSIs and require permission to visit them. Given the contingencies of our family situation and of factors like the weather, this simply isn’t practical for me. So, over the years I’ve spent time in the area of Scotland just over the border from Kielder in places I would call ‘wet edge lands’. That is, places that historically have been radically reconfigured by climate change, then by human enclosure and, later again, by the forestry practices used to create the current forest monoculture. The Black Burn, it’s banks damaged by industrial scale clear-felling, is now producing marsh-like areas along its upper length. These are frequently flooded and almost always remain waterlogged. 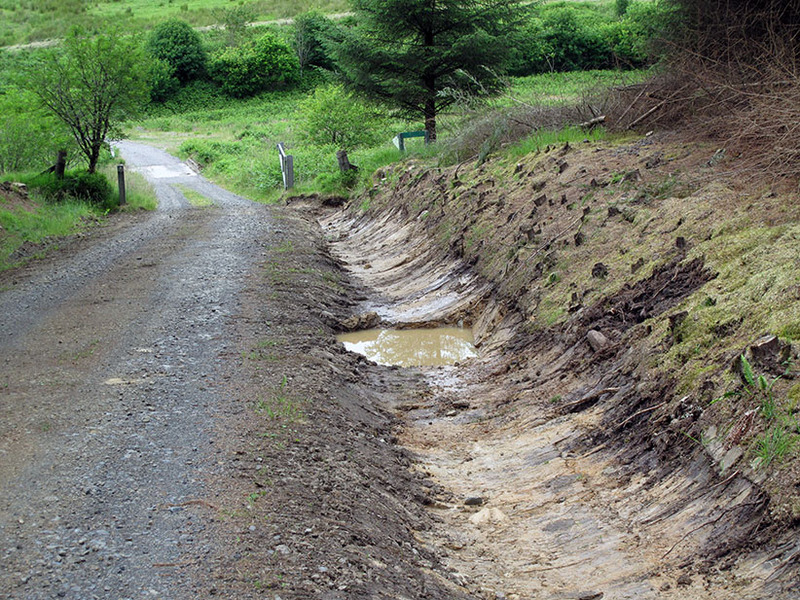 Roadside drainage ditch running into Carter Burn (2017). The management of water in this area is now wholly determined by the needs of the forestry industry, in particular the quick and effective extraction of large volumes of timber. Crude roads built for this reason often disrupt the natural flow of water and, as a result, have a substantive impact on the two burns. The new drainage ditch pictured above now above runs directly into Carter Burn, and over time will almost certainly impact on its course and water quality. If it speeds up lateral erosion it may undermine the bank that separates the burn from the nearby pool and, in doing so, substantially change the course of the burn. 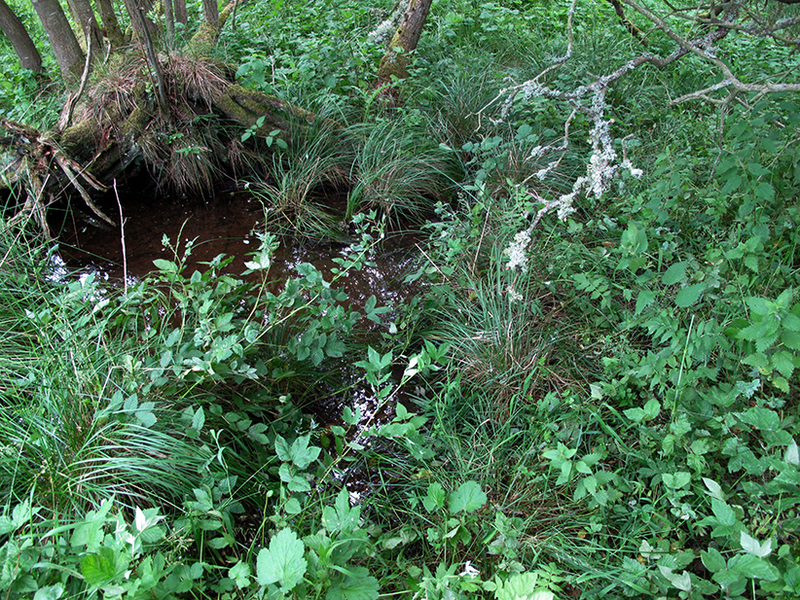 A standing pool, perhaps originally created by the silting up of an old flood meander in the Carter Burn, also shows some evidence of having been dammed at some point, perhaps to provide water in connection with the nearby fank shown earlier. The images above are indicative of the area in which I go to walk, look, listen, and remember; that is to find ways into the numerous processes that produced, and are still producing, this landscape. What’s to remember here? Many things, but in particular the continuous processes of both sedimented and sudden change. Before it was ploughed up and obliterated to plant forestry, there were the extensive and perhaps best preserved archaeological remains of an early Iron Age farm anywhere in Britain located just above Black Burn. For some three hundred or so years either side of the start of the Christian era, there is evidence that a milder climate made it possible to grow a primitive form of barley here. 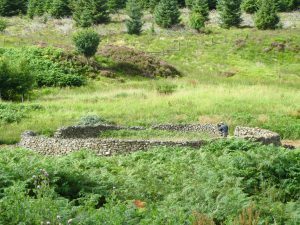 Later, in the medieval period, a bothy or sheiling called Tamshiel Rig was built near the site of the Iron Age farm. This provided shelter for those who tended the cattle that grazed here on the rich upland grasses each summer, part of a local agriculture based on transhumance. And to the east of the Rig, if local names are anything to go by, herds of swine once foraged for acorns in the oak woods and wallowed in the high mires above. Because it tells us that present forms of land use are neither ‘natural’ nor inevitable. They are determined by the concerns of landowners and, as James Hunter indicates, there are always alternatives. That alternatives to the early modern culture of ‘improvement’ are now once again on the political agenda is clear from the Scottish Green Party’s policies. The Scottish Green Party’s manifesto commits it to working to ensure that Scotland’s land benefits the many and not the few, and that to establishing transparency as to exactly who owns Scotland. It also argues for a radical programme of land reform to transform the social, economic and environmental prospects for communities across Scotland. To achieve this, it is committed to supporting such proposals as providing agricultural tenants with a right to buy their farms in appropriate circumstances, and to ensuring that public subsidy is directed at those in most need of it and to support the expansion of new sustainable forestry. All of which goes against the grain of the modern culture of ‘improvement’. The Party is also committed to increasing local community control over public land and to working towards greater democratic control of the National Forest Estate and of property currently administered by the Crown Estate Commissioners. It is similarly committed to promoting community agriculture, involving a step change in making land available for smallholdings, with a shift away from high-input agribusiness to low-carbon, organic farming. This dovetails into its proposal to support farming that provides public benefits, including rural jobs, water management, biodiversity, carbon sequestration, and shorter food chains. 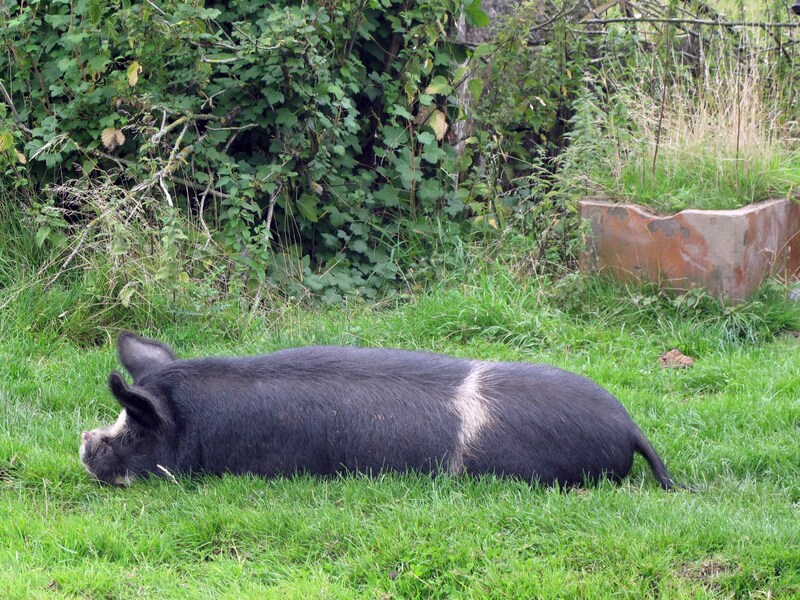 It aims to foster links between communities, local farmers and food co-operatives. It also recognises the need to support new farmers from non-farming backgrounds in getting access to the land and finding opportunities to build experience in environmentally and economically sustainable farming. 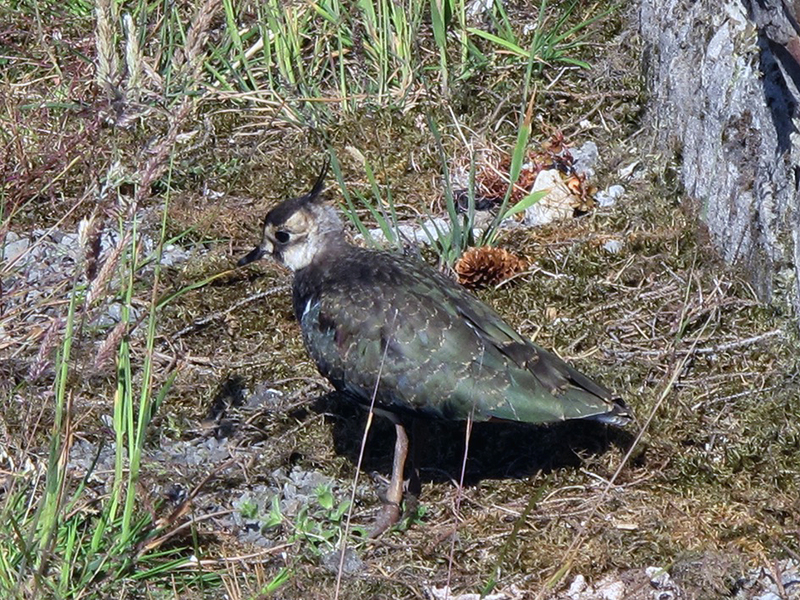 It is committed to supporting large scale ecological restoration projects of native flora and fauna, including the continued restoration of internationally- important peatlands. Again, these policies largely go against the grain of the modern culture of ‘improvement’. 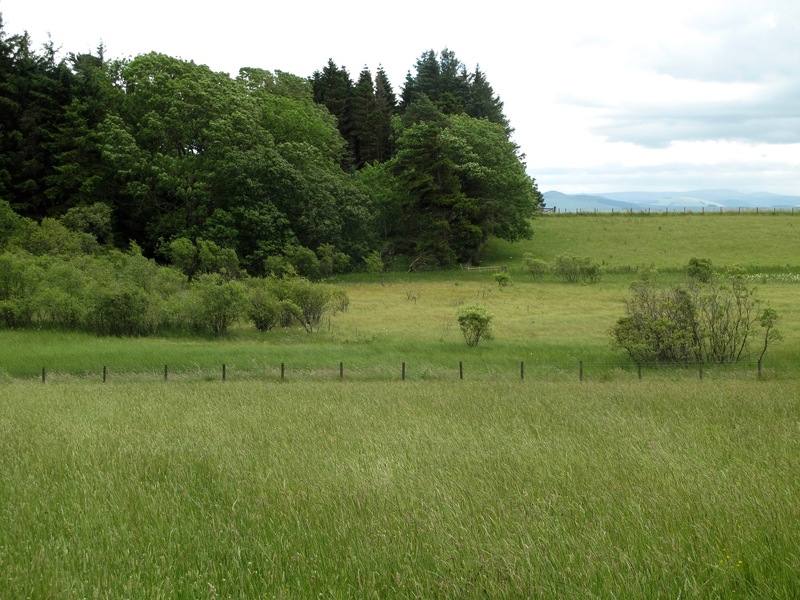 In principle at least, all these policies point to what could be a radical transformation of the Borders region, its agriculture, woodlands and wetlands. So, what might an alternative Borders landscape look like? 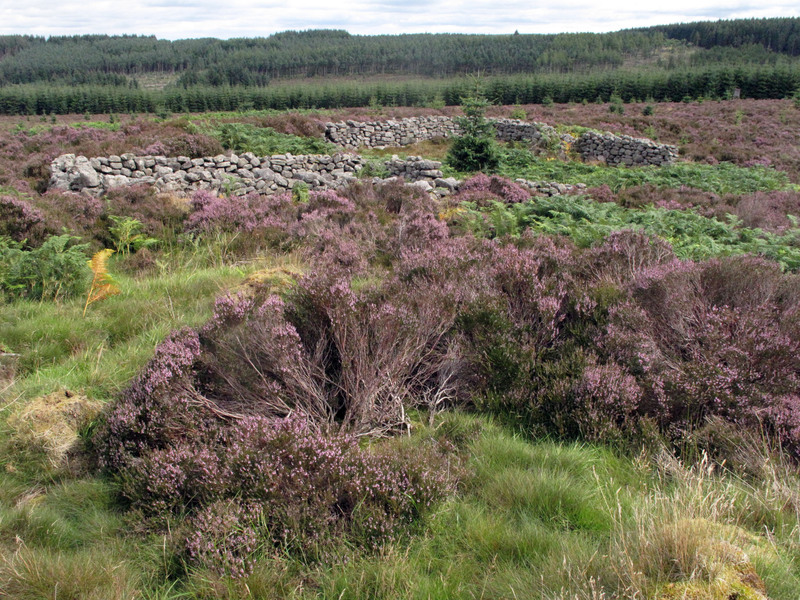 What, over and above Green policy, is needed to shift the Borders back to reflect something of the ‘unimproved’ landscape values that James Hunter identifies with a contemporary crofting culture, for example that of the Sleat peninsula of the Isle of Skye? 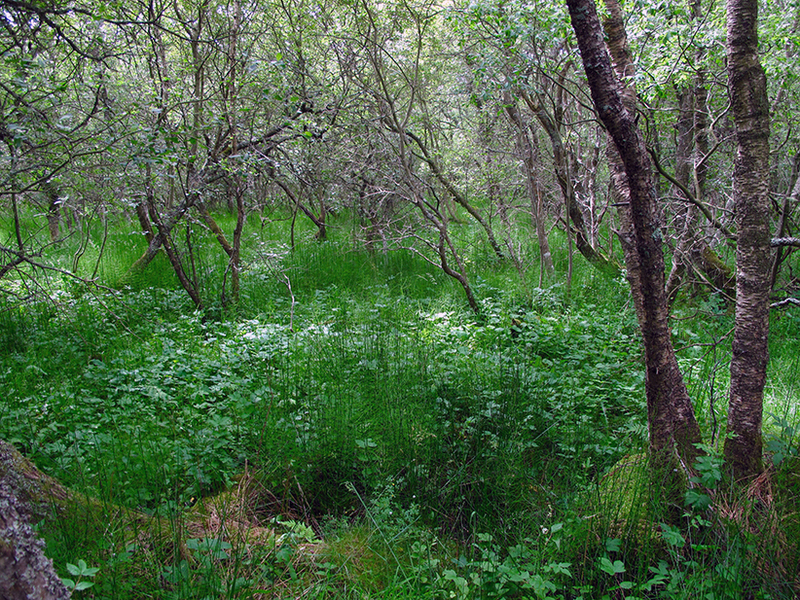 The policies of the Green Party, if put into practice, would open the way for the establishment of a hybrid between traditional small-scale subsistence agriculture, alternative sustainable forestry practices, and the contemporary possibilities of tourism and other forms of income such as I’ve seen at first hand on Mull. However, the implementation of Green Party policies would require a radical political shift that would be resisted tooth and nail by those who own or are dependent on the big Borders estates. 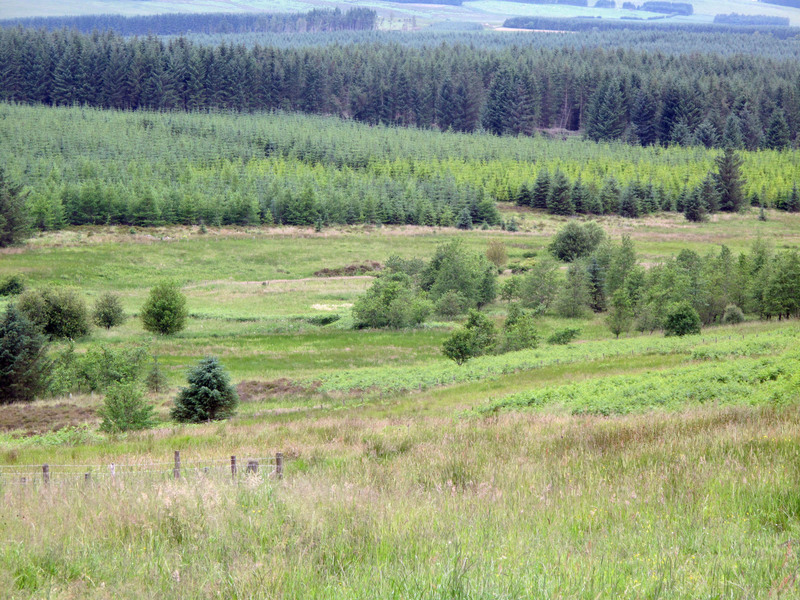 This suggests that there is little or no realistic possibility at present of reversing the depopulation of the Borders or of breaking the stranglehold of ‘subsidy junkies’; not just the owners of big farm estates and heavily subsidized grouse moors, but the many absentee landowners whose return on investment in commercial forestry depends on subsidy. However, we do not know what the impact of Brexit will be on the subsidy culture. 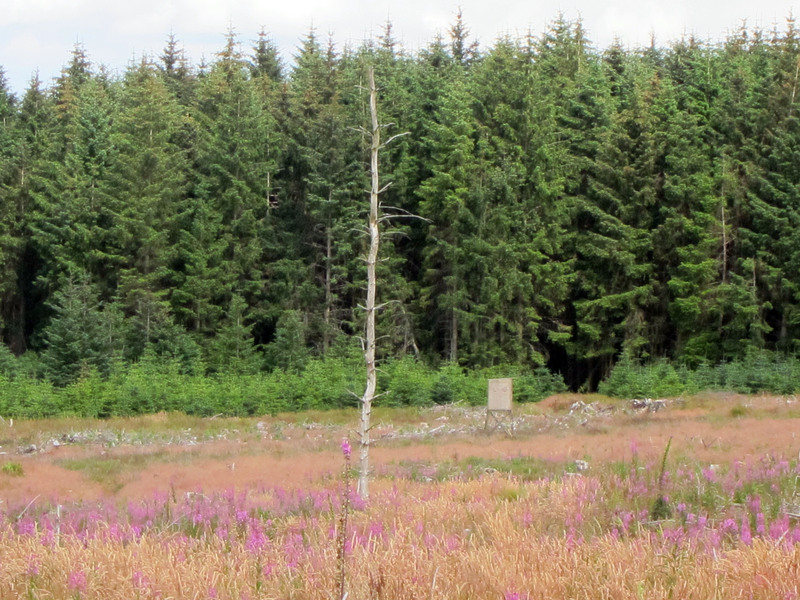 If I was asked to identify a point of leverage that might nonetheless help to move this process on, I would argue for the ‘re-wilding’ of the vast forestry monoculture of Kielder forest and points north of the Border. By this I do not mean aping a few wealthy individuals to import beavers or wolves onto their private estates. My sense of re-wilding owes more, as already suggested, to Don McKay’s understanding. Not, then, the re-introduction of a single large mammal but, as a start, small-scale human projects designed to reestablish areas of mixed forest, mire and moorland in the vast monocultural hinterlands of commercial Sitka spruce cultivation. Not, however, as stand-alone projects, but as part of a wider eco-tourism and cultural/environmental education initiative build in consultation with local people, particularly those young people anxious to remain and earn a living from the land. The artist and environmental activist Cathy Fitzgerald has ably demonstrated, through her Hollywood Project, that it is both ecologically desirable and practically possible for an individual to learn how to gradually convert commercial forest monoculture to fully sustainable mixed woodland. What is needed is, above all, opportunity and a desire for environmental change. Given a multi-stranded approach that, for example, seeks to go beneath and beyond the macho reiving-related culture so heavily promoted across the Borders, it should be possible to start to construct a multi-stranded and locally grounded basis – looking both back to a ‘pre-improvement’ agricultural past and forward to new, technologically-enabled possibilities, a basis equivalent to James Hunter’s vision of renewal on Skye. This entry was posted in Hydro-citizenship Research project, Provocations, Uncategorized on July 4, 2017 by Iain. Further to my last post, Dr David Tuller has put up a new post –Trial By Error, Continued: The New FITNET Trial for Kids – which demonstrates, in considerable detail, the extent to which ‘top’ (Russell Group) Universities, supposedly ‘respectable’ academic journals, and even the BBC, have become complicit in the abuse of the protocols of proper scientific research for economic and reputational gain. David Tuller has been at the forefront of a group of concerned scientists who have demonstrated the PACE trial authors weakened their outcome criteria mid-stream so as to be able to report dramatically better results for “improvement” (in The Lancet in 2011) and “recovery” (in Psychological Medicine in 2013). In lay terms, this effectively amounts to fraud. They hid this fraud for five years, aided and abetted by their employers, ‘top’ universities, who supported them in spurious arguments for refusing to provide the findings in line with the original protocol methods, or statistical analyses assessing the impact of the many mid-trial changes, or their actual trial data. This would be bad enough but, as Tuller points out, “the PACE authors and their allies continue, astonishingly, to defend the indefensible study, cite its findings approvingly, and push forward with ever more research into behavioral and cognitive interventions”. Yet in February, an open letter to The Lancet about the PACE trial, signed by forty-two experts, condemned its flaws as having “no place in published research.” It has subsequently been presented as an indicative study of bad science to graduate epidemiology students and at major scientific gatherings. In short, the parties responsible for attempting to hide this fraud not only continue to deny their falsification, but are seeking to gain further funding to the tune of a million pounds on the back of it. A central figure in all this is Dr. Esther Crawley, a professor of child health at the University of Bristol, who has been heavily supported by the Science Media Centre (SMC) in London, despite her part in the PACE trial. The SMC’s enthusiastic press briefing on her most recent enterprise generated widespread and enthusiastic news coverage from, among others, the BBC. Significantly, the SMC ensured that the BBC story, like other news reports, made no mention of the discrediting of the PACE trial findings. This came as no surprise to those of us who know the SCM’s history and bias. While touting itself as a neutral arbiter of science, the SCM is in reality deeply ideological, offered unqualified support for the type of flawed research presented by Dr. Esther Crawley. Prof. Simon Wessely, who I referred to in my last post, is a founder of the paradigm used by Dr. Crawley and a close colleague of the PACE authors. He is also on the SMC’s board of trustees. Furthermore, as David Tuller also points out, the journalist responsible for the BBC story, James Gallagher, is a member of the SMC’s advisory committee. In short the SMC, effectively a front organization, is once again guilty of hiding its substantive conflicts-of-interest. Yet this is only one aspect of the fraud that underpinned the continued ‘success’ of the people responsible for the PACE trial deception. One of many issues that have yet to be addressed is the fact that figures like Dr. Peter White, the lead PACE investigator, have major and undeclared conflicts of interest as scientists through their close links to Government and their support for its punitive policies towards the chronically sick. This parlous situation has not gone entirely unchallenged. Quite apart from the efforts of individuals like David Tuller to defend the importance of good scientific practice against institutional greed and personal ambition, he notes that the Countess of Mar, a member of the House of Lords, filed a formal complaint with the BBC to protest its biased reporting. In this she indicates that the nature and tone of the coverage was such that it was clearly orchestrated to distract anti-PACE evidence which is now gaining world-wide attention, an action entirely in line with the usual approach of the SMC. What’s the point of all this fraud? “Dr. McCrone is serving as the chair of FITNET-NHS’ independent steering committee [the body overseeing the new research project being touted by Dr. Crawley] –another unsettling sign. As I have documented on Virology Blog, Dr. McCrone made false claims as lead author in a 2012 PLoS One paper—and those false claims allowed the PACE authors to declare that CBT and GET were cost-effective. They have routinely cited this fraudulent finding in promoting the therapies”. In short, these people are not academics striving for an appropriate objectivity and rigour, but little better that State apparatchiks. They work for institutions who put income generation above all else and to support a Government incapable of addressing the needs of the sick and poor in our society because of an obsession with the economic bottom line that overrules all other considerations. In Brexit and the election of Donald Trump we see the triumph of a ‘post-truth’ politics. 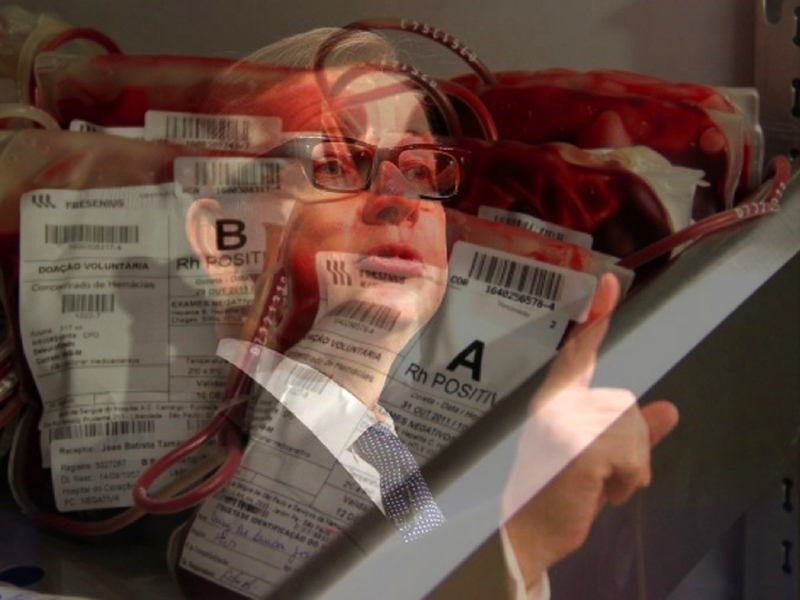 What the PACE trial fraud makes abundantly clear is that we now have a ‘post-truth’ academic/scientific institutional complex in abject complicity with that politics of untruth. This entry was posted in Provocations on November 22, 2016 by Iain. What’s wrong with the ‘big research’ establishment? There’s no simple answer to this question. However, arguably it’s possible to get a taste of what is profoundly wrong with the current world of ‘big’ academic research – and not just medical research – by extrapolating from particular instances. Recently, my daughter alerted me to what I think is a perfect example of such an instance. Wikipedia describes Sir Simon Charles Wessely, FMedSci, as a British psychiatrist, professor of psychological medicine at the Institute of Psychiatry, King’s College London and head of its department of psychological medicine, vice dean for academic psychiatry, teaching and training at the Institute of Psychiatry, as well as Director of the King’s Centre for Military Health Research. He is also honorary consultant psychiatrist at King’s College Hospital and the Maudsley Hospital, as well as civilian consultant advisor in psychiatry to the British Army. He was knighted in the 2013 New Year Honours for services to military healthcare and to psychological medicine. In 2014 he was elected president of the Royal College of Psychiatrists. Doctor Wessely is clearly a man right at the top of his profession, a very senior academic, a man deeply embedded in the Establishment, and demonstrably a person of very considerable influence. Yet he has been more than happy to defend research by his associates that has been shown not only to be profoundly flawed but heavily compromised by the fact that some of the individuals involved can be shown to be implicated in major conflicts of interest based on their support for ideologically and economically driven Government policy. In this he has, of course, the support by such luminaries as the editor of The Lancet, which published and enthusiastically supported what has now been shown to be a deeply flawed study. In short, Wessely is aligned with and deeply implicated in an intellectual establishment that will apparently do and say anything to protect its own status and influence, regardless of the cost to those who are directly affected by the impact of discredited research such as the PACE Study or to the credibility of scientific research. “Instead, I want to address your rhetoric, which is unworthy of a serious scholar….”. If you have any interest in what is happening as a result of the money-fication of the academy and its ever-closer links with the mindset of big business and the government co-option of supposedly ‘objective’ research, I would urge you to read Steven Lubet’s Open Letter in full. This entry was posted in Provocations on November 14, 2016 by Iain. “David Cameron has promised to invest £400 million a year on shoring up flood defences over the next six years; but official data shows spending was cut sharply at the start of the last parliament, from £360m in 2010-11, to less than £270m in 2012-13” (The Guardian 31.12.2015: 1). I do not believe that David Cameron’s Government will deliver on this statement but, be that as it may, there is still something pathetic about his pottering around flood-ravaged England dispensing platitudes about funding ‘flood defences’. It is pathetic because the Government is clinging to thinking about water management that it knows is practically ineffective, socially unworkable and, additionally, defies expert opinion. After the flooding of the Somerset Levels the Government, having consistently cut back funding to the Environment Agency tried, in desperation, to blame it for the consequences of the Government’s own policies. It was forced to back down and the ensuing climb-down involved consultation with a range of top water management experts. They told the Government that it needed to avoid the temptation to revert to dredging and start putting in place inclusive, catchment-wide thinking about the causes and prevention of flooding. (I’ve written about this before – see ‘Won’t Wash’ or: ‘high and dry thinking in a wide, wet, world’ The Government then proceeded to totally ignore this advice because it was going to be unpopular with regional Tory supporters. Inclusive, catchment-wide thinking in relation to flooding is primarily about prevention rather than defence and, as such, requires fundamental changes in attitudes to rural governance. On Exmoor, for example, this thinking has meant reversing long-established assumptions – not least that water needs to be drained off the high moor as fast as possible (largely with a view to improving the land for grazing). 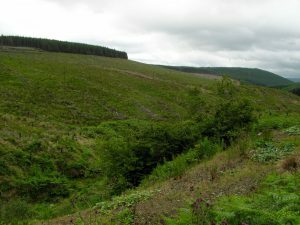 The new policy reverses this, trying to ensure that the water stays on the moor for as long as possible and drains off it as slowly as possible, thus minimising both the risk of flooding downstream in the short term and substantially reducing the amount of soil washed down to silt up rivers in the middle to long term. This change in thinking is really only possible because since 1954 Exmoor has been a National Park, with its governance initially coordinated by local government and, since 1997, by a free standing Exmoor National Park Authority. What this means in practice is that this area of land is managed through a council made up of elected individuals who, in accordance with democratic convention, must act in the public interest and demonstrate that they will do so by publically declaring their personal and pecuniary interests. 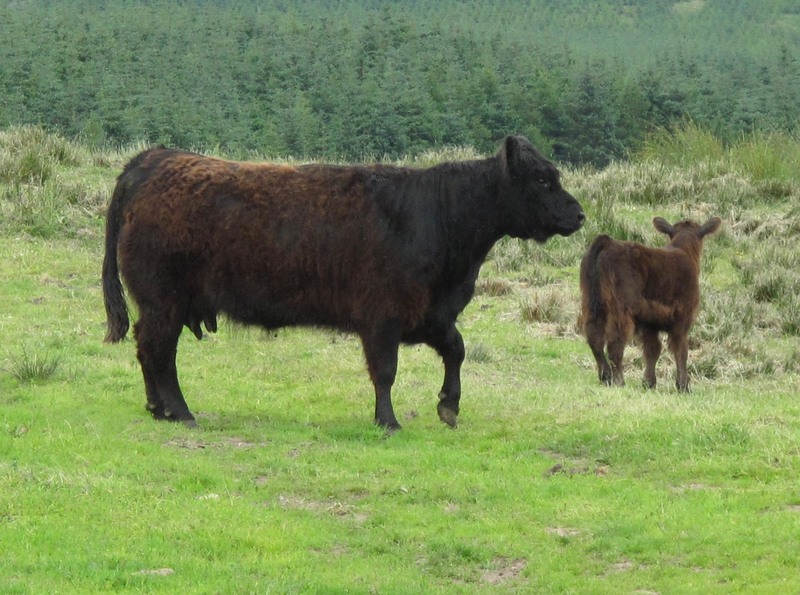 In short on Exmoor there is the possibility of genuine democratic debate as to the basis for its governance, thus distinguishing it sharply from the bulk of uplands in the UK. These largely remain in private ownership and are managed on the basis of the personal interests of individuals like the “exuberant hedgefund billionaire Crispin Odey”, singled out as a typical grouse moor owner by Telegraph reporter Clive Aslet . This is where the issue of flooding and social justice start to converge. In 2014 the same Government that chose to ignore the call for inclusive, catchment-wide thinking in relation to the Somerset Levels almost doubled the subsidy to landowners who own grouse moors (from £30 to £56 per hectare). Unfortunately what is good in terms of raising grouse for shooting is bad for flood prevention. By increasing the grouse moor subsidy the Government has effectively subsidised miss-management of hundreds of thousands of hectares, both in terms of flood prevention and of opportunities to link good environmental governance and increased rural employment more generally. 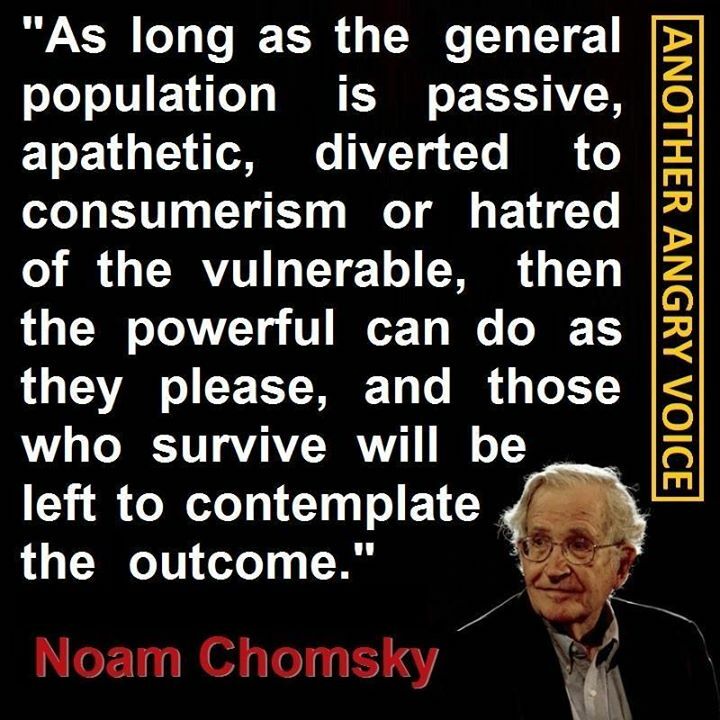 In short, the wealthy and privileged few are being rewarded for perpetuating a situation that brings misery to tens of thousands of their fellow citizens. 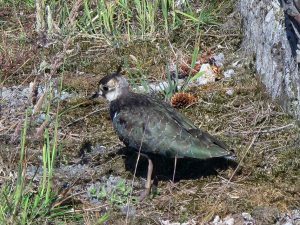 (For a direct link between grouse moor management and flooding see George Monbiot’s recent blog entry). Misery that in this last round of flooding alone is estimated to be going to cost the country in excess of five billion pounds. My point is simple. David Cameron’s promised £2,400 million is not just about “shoring up” flood defences, its also about shoring up an exclusive and deeply anachronistic version of rural life and economy – one that the right to continue fox hunting and grouse shooting have come to symbolise in the minds of those who claim to defend ‘our’ rural way of life. 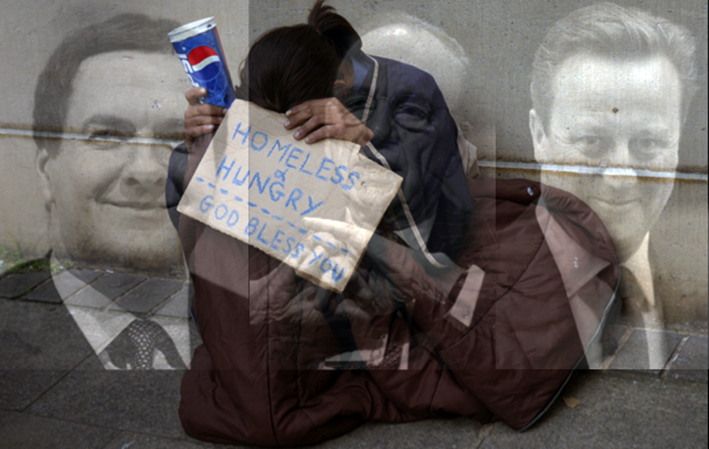 It will be blindingly obvious to anyone with any political sense that a Tory Government will not risk upsetting the wealthy landowning classes – whether in the name of flood prevention or any other eco-social concern. If they were to do so, we can be sure that organisations like the Countryside Alliance and Country Land and Business Association would do everything they can to defend the rural mythology that supports the status quo. (An example of such a defence is provided by Charles Clove in an article in praise of the ownership of rural land ownership (which, he suggests, was never “likely to attract capitalists who were not born into it as a way of life – unless for social reasons, or for sport” – a sport, however, where rich individuals from around the world pay something in the region of £140 for the privilege of killing two birds). 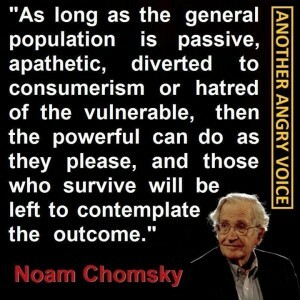 This leaves us with the practical question of what is to be done. In my view there is little or no point in adopting a rigidly adversarial approach towards the rural establishment, not least because it is politically and economically very powerful (for good or ill), and often holds attitudes that are likely to harden further if blindly opposed. Nor is there any ‘magic bullet’ that can solve the complex of issues involved. The real solution to the worsening flooding in the UK lies in a whole cluster of changes, some of which have no obvious connection to water management. Implementing best-known management practices on 2,000ha of the Burren, including new feeding systems, redeployment of existing livestock and targeted scrub removal. Disseminating information relating to the agricultural management of areas of high nature and cultural conservation value through literature and the media. Indicatively, it may be that the second and last of these aims are the most pressing. Developing ‘new support mechanisms for … sustainable management’ in any rural area has to involve looking long and hard at its eco-economic viability, which in turn will often require developing forms of employment that, in order to genuinely ’empower local communities’, will challenge a rural status quo that still takes its right to pursue activities like grouse shooting as a given. That in turn raises important governance, educational and cultural issues, including that of raising external understanding and support during what will inevitably be periods of difficult transition in such communities. It is here that the dissemination of information (and not only that relating to the environmental and agricultural management of an area) informed by inclusive catchment thinking – particularly through literature, the arts and the media – comes into play. This entry was posted in Provocations on December 31, 2015 by Iain.